Westminster will be having a Book Fair November 20-November 24th! We love seeing our students excited about getting a new book to read. We hope you can encourage this excitement and support our Book Fair. 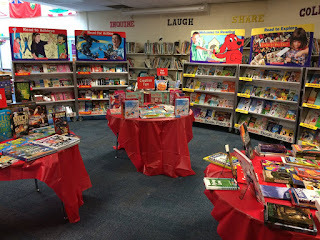 All proceeds from this book fair go directly to upgrading our library and other resources for our school. Classes will be able to view our selection all week and fill out their wish lists. Parents and families are welcome to come to the Book Fair during the evening of Thursday, November 23th and morning of Friday, November 25th during our Student-Led Conferences. See you there!